Our publishing house is now a few years old, and you can see all our books and DVDs at www.earthenvessel.net. Some of the books that Kent wrote during the 1970s can still be obtained at Amazon.com. Some of our serialized books are published by Evangelical Press in the UK, and a few dozen of Kent's essays have appeared in their newspaper, Evangelical Times. Here is your opportunity to read one or several books, one chapter at a time, without the expense of purchasing the printed item. Of course, if you like what you are reading and wish to own a copy, click on the link to our publishing site for that book. For those books that are just being penned and available here for the first time on a single-chapter basis, we hope to follow soon with the printed version. Enjoy! How are people indwelt by demons? How can demons be cast out? What does the Bible show us about how Jesus, his disciples, and Christians historically have dealt with this issue? What is the correct biblical theology regarding the demonic? 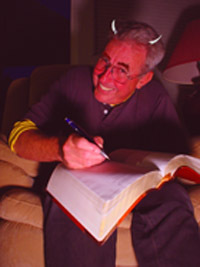 The author, Kent Philpott, has extensive experience in casting out demons, also called "deliverance ministry," especially during the Jesus People Movement of the 1960s and 1970s, and the accompanying DVD features Kent in discussion with Bob Burns, who was one of those from whom demons were cast out during that time. Why would anyone want to be a pastor? Is pastoring an impossible job? Why do pastors become angry? Kent Philpott has been a pastor for more than four decades, with over half of that time at Miller Avenue Baptist Church in Mill Valley, California. He writes to pastors of small churches about what he would like to have known about the job and calling of a pastor starting from the day he was ordained. What happened to all the pastors who were fired, quit, or gave up? Aren't pastors super people who are strong in every way? Who would even want to be a pastor? How to Care for Your Pastor is written with the small congregation in mind. The focus is on concrete steps a congregation may take to encourage pastors. The rate of attrition among pastors, especially in evangelical churches, is alarming. Some of this rapid turnover may be due to congregations not understanding who their pastors are and how to go about building them up. A seminary education and multiple degrees are not enough to insure that a pastor's work will succeed. Pastors need their fellow church members to walk alongside them, to help them survive and be effective in ministry. Do these sound like fighting words to you? Who likes to think that he or she is being duped? Yet, who wants to live his whole life being duped? "Duped" is a harsh word that does not fall easily on anyone's ears, and this is the author's intention. The material is hard-hitting while conveying a desire to see people embrace Jesus Christ as Savior and Lord. Does this book's title sound judgemental to you? What issue is more crucial than salvation? Can we afford fuzzy thinking when eternity is at stake? An examination into the very nature of Christian conversion. Kent Philpott's primary thesis of this book is that it is possible to be falsely converted, which is something most every pastor with any experience will know and appreciate. This book has already found a ready acceptance around the world by those who know that the one key issue in all of life is salvation. How did this happen to me? All of a sudden a Christian! What about people who refuse to believe? Fundamentalists: Are they bad people? What do you mean, "I don't have a soul"? How can I know I am a Christian? Why I am a Christian, by Kent Philpott, published by Evangelical Press, is a series of essays published in Evangelical Times with the lead article "Why I Am a Christian," which gives the book its title. This book is excellent for new believers but is specially designed to be useful for those who are seekers after God. A priest converted while preaching his own sermon? Christian conversion is the greatest mystery of all! This is the great classic by the Anglican priest William Haslam, originally published around 1860 and now reprinted and published jointly by Evangelical Press and Earthen Vessel Publishing. In 328 pages in 34 chapters Rev. Haslam tells of his own conversion, the events that led up to it, and then the remarkable Cornish awakening that followed. Did Satan really write a bible? If he had, what would he say? Would you fall for it? How would you know if you've already been deceived? "Words, ideas, philosophies, imaginings, dreams, visions—packaged just right. These are my weapons of choice. A book, a bible, filled with my wisdom, my sayings, just a little different from the book my Enemy will have." --quoted perhaps from the mind of the devil. If the devil wrote a bible, we would want to know about it. In the 1970s Kent Philpott wrote a book with this title, and it proved to be quite popular. Now he presents this much expanded edition of that book. It's a "red letter" version, for the devil's verses are in red, and the devil's own commentary follows his text. After that comes a commentary from "One Christian," which examines the devil's distortions from a biblical perspective. Satan's darkness cannot withstand the light of truth. What is prison really like? Is prison as scary as we've heard? Are the convicts all bad people? How can I avoid being sent to prison? 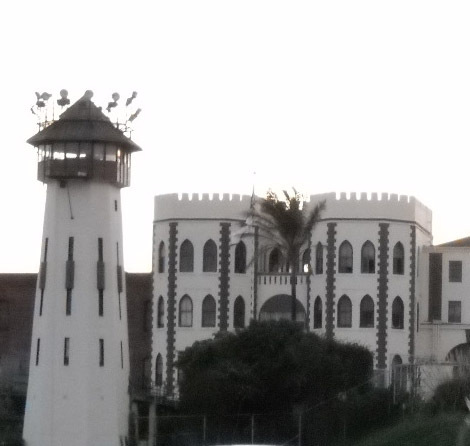 San Quentin State Prison in California is where Kent Philpott has been a volunteer for twenty-eight years. He is presently in his fiftheeth year as coach of the prison baseball team. This is a book Philipott has been waiting many years to write. It is really two books in one. The first half is a collections of stories about San Quentin and the people Philpott has encountered on the baseball diamond and in the cells. The second half is aimed at those who are at risk of going to prison, those who are in prison and desperately want to get out as quickly as possible (short of escaping), and those who do not ever wnat to go back! How did an Arminian become a Calvinist? What does it mean to be "Reformed"? Is the opposite of Reformed Arminian? Is it important to make this distinction? Why are so few Christians today in the Reformed tradition? Yet what is behind the growing numbers of those who are embracing a Reformed theology? In 1995, with twenty-nine years of ministry behind him, Kent Philpott began investigating Reformed ideas as a result of reading about America's second awakening and the debate between two leading evangelists of that period. At first Philpott resisted what he now saw about passages in the Bible that speak to the issues raised in Reformed theology, since to embrace them he would have to admit to having failed, to even having led many astray over nearly three decades of ministry. For the first time since the 1830s there is renewed and intense interest in Reformed or Calvinistic theology. Here a Baptist preacher describes his journey from being a champion of the ideas of Charles G. Finney, a decided and dedicated Arminian, to embracing the "doctrines of grace." Now comes an account of what followed that period and the story of what happened to the original twelve whose stories came to light long ago. Kent Philpott, the author of both books, tells again the story of how it all began and some of what followed in the wake of the publication of the two books by Logos International. Some whose stories were told in the original 1970s books went back into the gay life. Some did not and continue today free of homosexual behavior. Philpott looks at some of the changes that have occurred in the Christian community as a result of the gay movement, noting failures and successes. Those espousing a pro-gay theology are still hard at work gaining acceptance in our culture as a whole, and Philpott explores anew their theological platform. Will it be scary to read? People actually talk about this sort of thing? Kent Philpott's youngest brother killed himself shortly after returning from the war in Vietnam. As a pastor, Kent has had to deal with several suicides. It happens to people we know, and many hurting people in our pressure-packed culture have contemplated it. This book is for those who may be candidates for suicide. Sometimes we can even see it coming in others. So, here is a resource that might help save a life. It may be yours.